Aromatic swirls of cinnamon, a dash of honey, a sprinkling of hearty tea leaves slowly stirred into a large heated helping of Brandy- The Hot Toddy has certainly come a long way since its original debut in the early 1800s as a prescription for aching muscles and flu symptoms. Little did Robert Bentley Todd know that his little concoction would evolve and turn into a worldwide staple for winter warming centuries later. Appropriately named after the Dublin-based physician, the Hot Toddy is also known as a Hot Tottie, a Hot Totty as well as a Hot Whisky in Scotland. The recipe has grown to incorporate many variations, including the use of cloves, lemons, cocoa, ginger ale, while brandy has infamously been substituted with whiskey, bourbon, even rum (known better as Grog). We certainly love our Hot Toddies here in Philadelphia and as the temperatures start to drop down to freezing, we decided to round up the 5 best Hot Toddies in Philly for your drinking and healing pleasure! Irish Pub is a go-to for tourists looking for a friendly crowd and locals looking to meet up in Center City for a post-work drink. Their Irish Pub Hot Toddy adds some southern sweetness to the traditional recipe with the addition of Jack Daniel’s Tennessee Honey Whiskey. 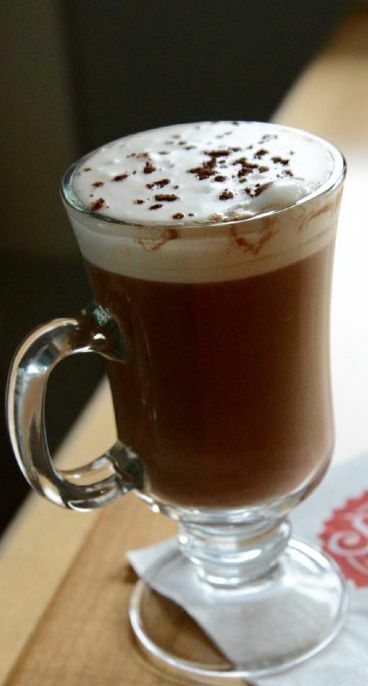 They also tout a nice list of other “toasty” drinks such as a whipped cream topped Rumchatta Spiked Hot Chocolate and one of their signature drinks featuring Baileys, coffee and Frangelico, known simply as the Nutty Irishman! Old City’s sassiest bar serves up some of the most creative cocktails on the block, but none more delicious than Ben’s Hot Toddy, named after good old Benjamin Franklin, of course. Using a combination of Baileys and Kahlua as the base, this rendition of the classic Hot Toddy is perfect for those blustery winter nights when you just want to cozy up at a neighborhood bar and relax! If you like your drinks on the sweeter side, try a Silence Cider, a tantalizing blend of apple cider and salted caramel vodka topped with a heap of whipped cream. McGillin’s, one of the most famous bars in Philadelphia, attracts friendly folks from near and far. Known for outlasting Prohibition, the Civil War and Strawbridges, they’re also known for their classic hot toddy, a recipe that has changed very little since their opening in 1860. Infused with fragrant cloves and fresh lemon, a McGillin’s Hot Toddy is the perfect drink to sip your winter blues away next to their blazing fireplace. Well known to the locals as one of the best authentic French style crêperies in the city, Beau Monde just so happens to flaunt an amazing Hot Toddy. The secret is their distinctive balance of bourbon, tea, cinnamon, honey and lemon, perfectly complimented by the interior details of the bistro itself, with turn of the century Mahogany woodwork and tin ceilings throughout. Manny Brown’s is a fun little bar that many use to pre-game before they hit up a show at the TLA on South Street, but you would never believe that it’s the home of one of the most talked about Hot Toddies in Center City! The secret to their success is that their recipe gets topped off with a tab of butter and the result is deliciously unique! Don’t knock it until you’ve tried it! All of these bars are accessible from Center City and very easy to get to from one another. Got you in the mood for some hot toddy goodness? Check out Big Red Pedal’s “Hot Toddy Crawl” and enjoy some of the drinks we featured here. Cheers!